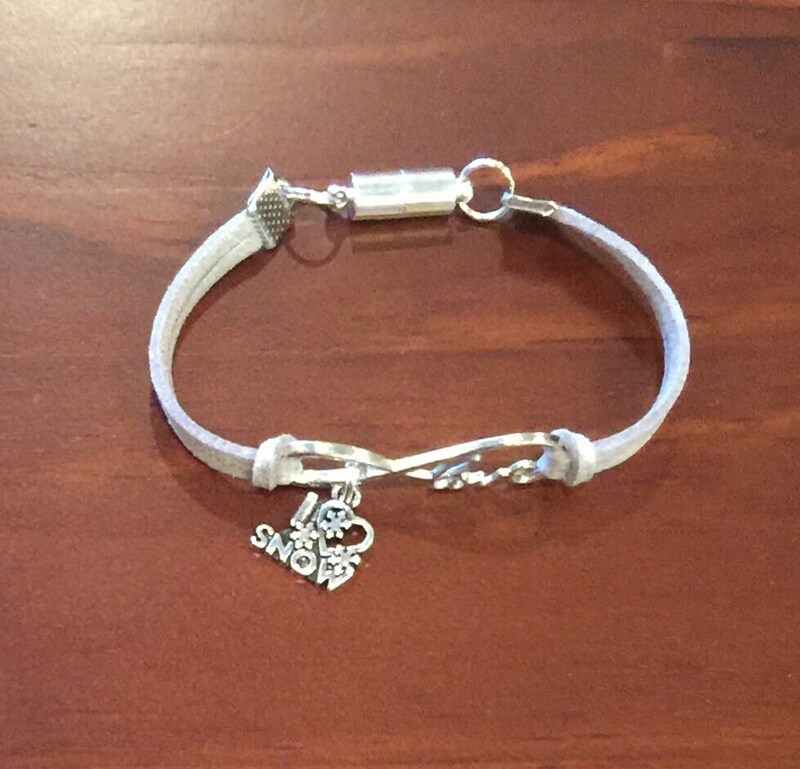 Infinity Love Suede Cord Charm Bracelet! Pick your Color, Size and Charm you want and I will create a bracelet for you. The girls on the team loved their bracelets! My customers contact me and ask me for different kinds of bracelets. I work with them and create exactly what they want. They get to pick colors, charms, wording and charms. I offer samples of what I have, but I accommodate all of my clients needs. Even though I offer Sports Team Bracelets, I will make any bracelet you would like. My bracelets are custom made. I offer 5 sizes. The sizes I offer are 5 - 9 inches. If you need a bigger bracelet, you can contact me and I will make it for you. I don't recommend making my bracelets smaller than 5 inches, because the wording will not fit correctly. Please measure your wrist. That would be the size of your bracelet. If you measure a 1/2 size order the next size up. Bracelet measures from end of the magnetic clasp to end of the magnetic clasp. If you are interested in more than 10 bracelets, I will be more than happy to offer 10% off your entire order. Your bracelets come in a cello bag. I do not offer Gift Wrapping at this time.